For decades ranked among the largest urban areas in the world, Mexico City is a vibrant metropolis and the oldest capital city in the Americas. Its land was originally settled over 700 years ago by indigenous peoples who built their city of 300,000 on an island in the middle of a large series of lakes. As the city grew through the colonial era and into modern times to reach 21 million inhabitants, it developed and expanded directly atop those lakes in a zone of high seismic activity — a geographic legacy that creates unique, compound challenges to the city’s massive infrastructure and its residents. On September 19th, 2017, Mexico City was struck by an earthquake which caused the death of 228 people and damaged over 73,000 buildings in the city, including 5,765 homes and 973 schools. The economic impact of that event is estimated to be between 0.1% and 0.3% of 2018 GDP, while the funds needed for reconstruction are likely to exceed US$3.4 billion. Though significant, the damage in 2017 was much less than that suffered in the similarly powerful earthquake of 1985, when tens of thousands of lives were lost, thanks to the city’s investments in improved preventive protocols, early alarm systems, and emergency response capabilities. However, shortcomings surfaced in nearly every city system during the 2017 earthquake: transportation, governance, energy, communications, water, sanitation, and health infrastructure all failed to some degree. 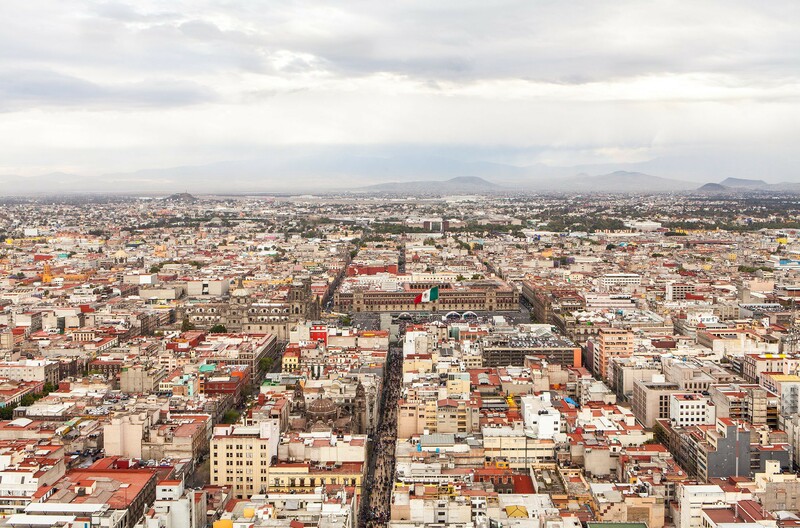 As the threat of earthquakes is ever-present for Mexico City, city leadership is leveraging their resilience building work to further prepare for future seismic events. They have tasked the Resilience Office to conduct a comprehensive review of the lessons learned during the September 2017 earthquakes, examining how the different city systems and key assets responded, and making specific preparedness recommendations for better protecting fragile infrastructure and saving lives. The city anticipates spending US$550,000 to develop the Plan, with final delivery slated for the end of 2018. City leadership has moreover committed to implementing the findings of the plan. The resulting activities will be carried out with participation from state and national government entities in 1-, 5-, and 10-year phases. The Seismic Resilience Recovery Plan will deliver a comprehensive blueprint for Mexico City to address its earthquake risk in a resilient manner. It will assess not only emergency response capabilities for the immediate aftermath of a disaster but will also look further at what new plans and protocols the city could adopt for continued governance and the functionality of critical city systems in their wake. Moreover, it will strengthen the city’s resilience capabilities, by empowering the Mexico City Resilience Agency as one of key entities responsible for assessing the city’s preparedness. A prospectus from 100 Resilient Cities that outlines investment and partnership opportunities throughout cities in Latin America and the Caribbean.